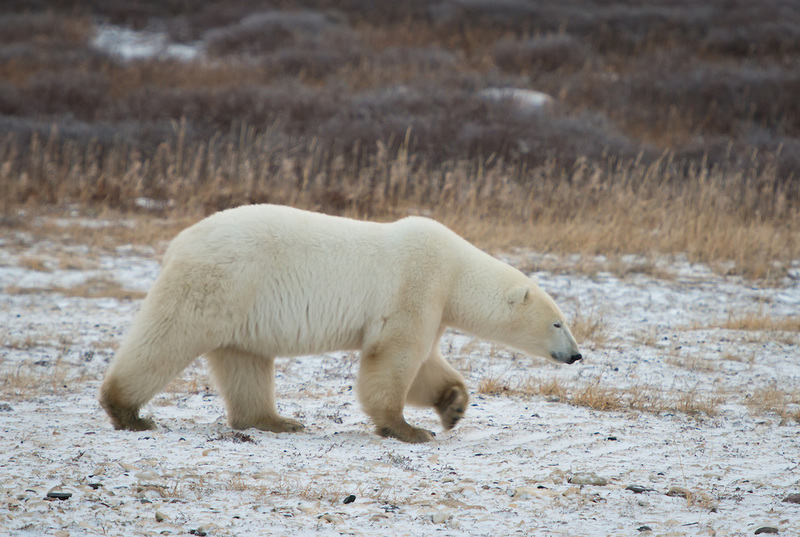 A polar bear (Ursus maritimus) near Hudson Bay, outside of the town of Churchill, far north Manitoba, Canada. The bears congregate near Cape Churchill in great numbers, awaiting the return of the ice as the winter starts. Their is little to no food available for the bears while they are in Churchill, so they must fast for months at a time. The bears rely on fat stores they build in the winter, and can lose 40% of their weight before the sea ice returns. Photo © William Drumm, 2013.